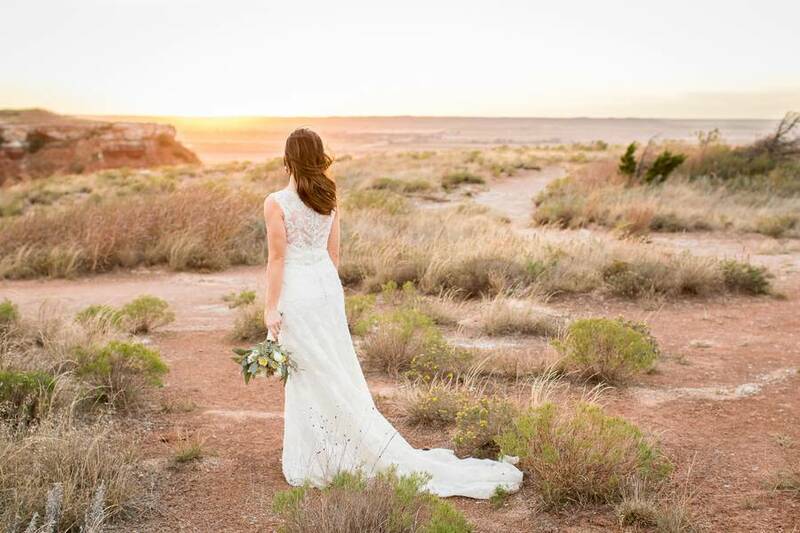 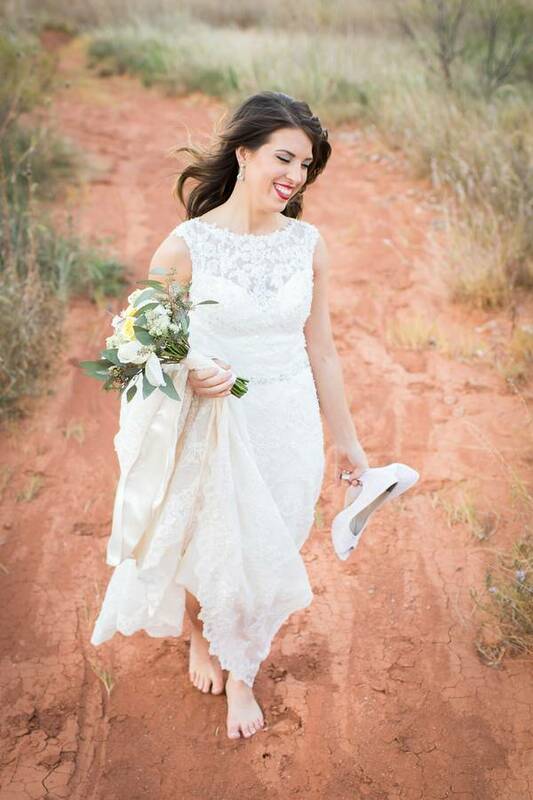 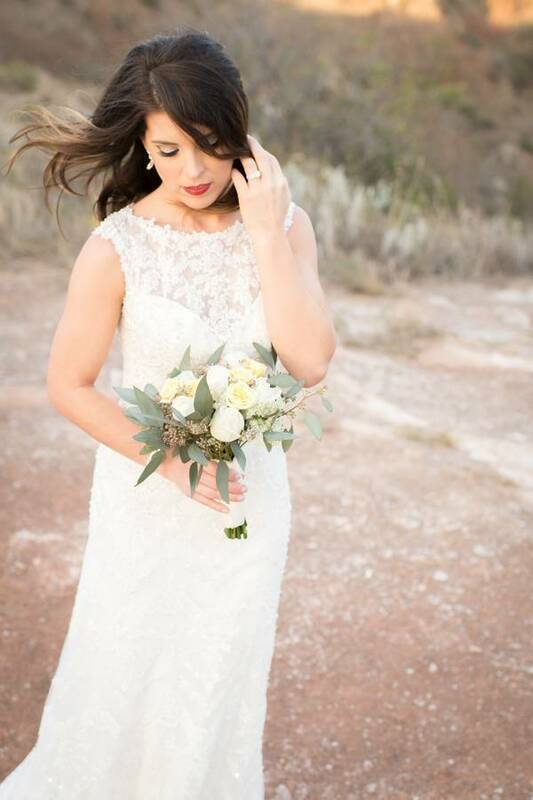 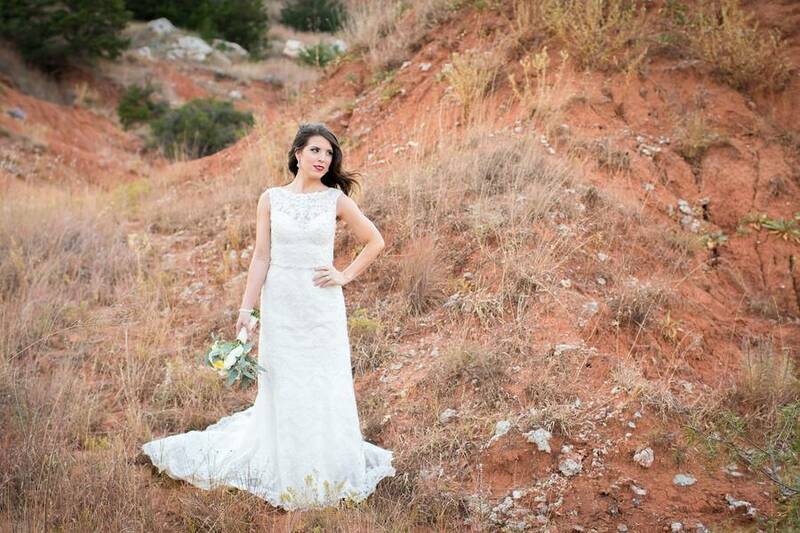 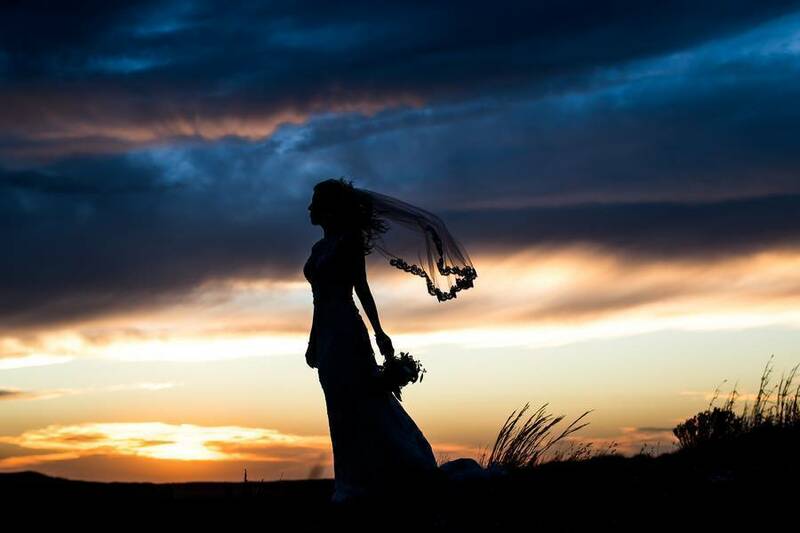 Christina’s bridal session was a particularly windy day at the Glass Mountains, 30 miles west of Enid, OK. “I considered rescheduling,” says Danell of La Belle Bella Photography. 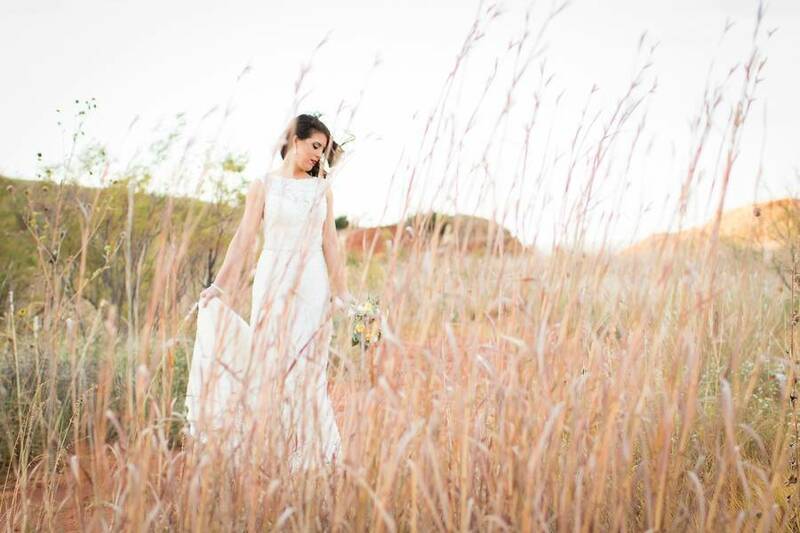 “My wind limit for outdoor sessions is about 30 mph, and it was pushing my comfort zone that day.” The windy plains are what give the area part of its charm however, and I think the wind added a beautiful movement and grace to these photos that only nature can provide! 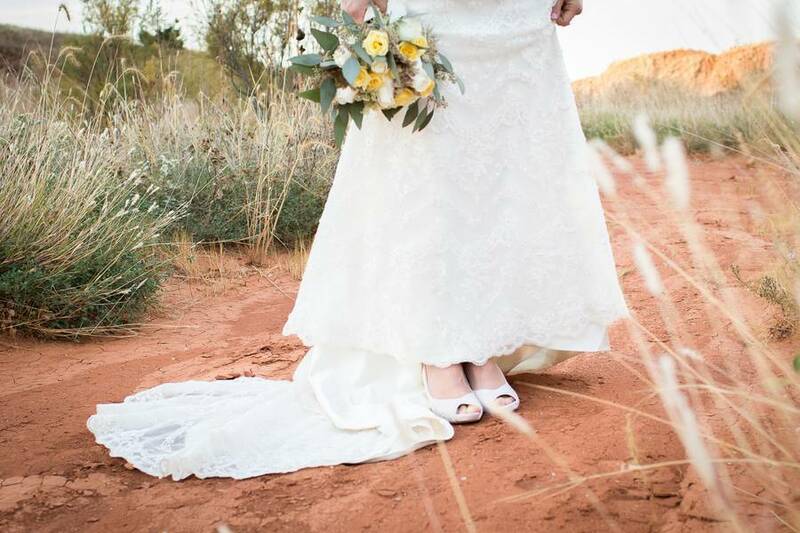 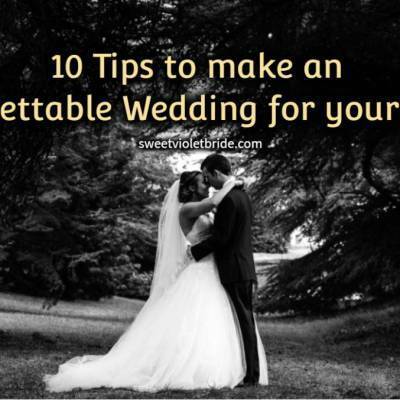 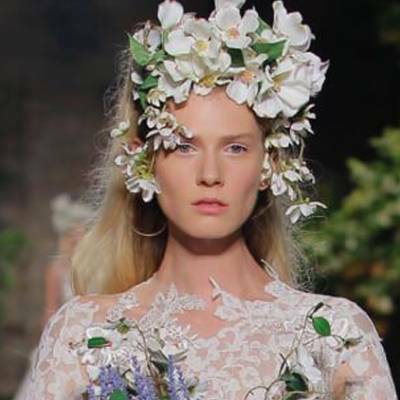 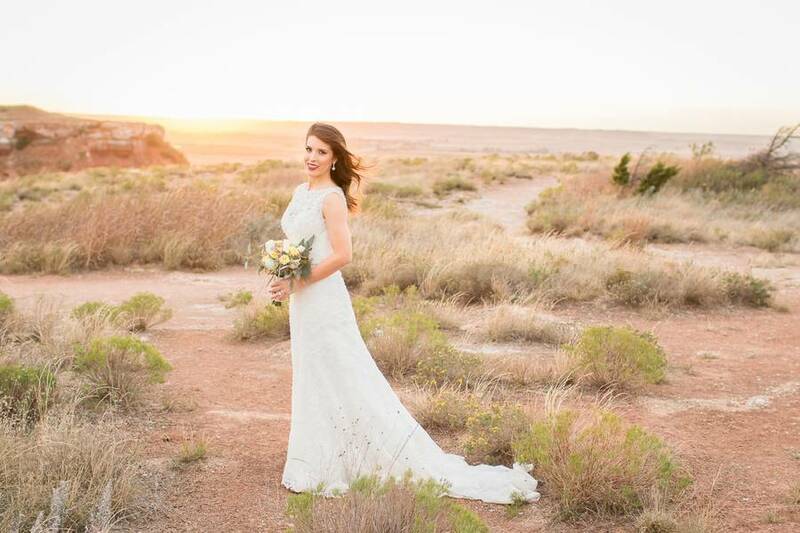 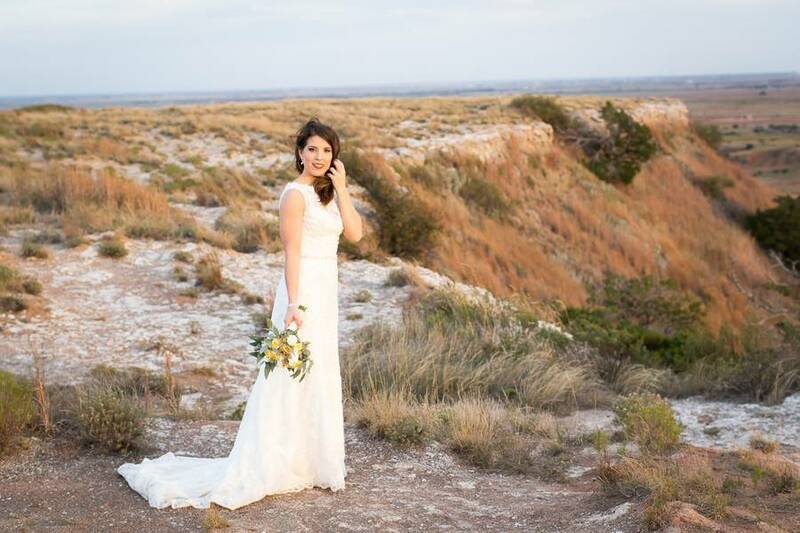 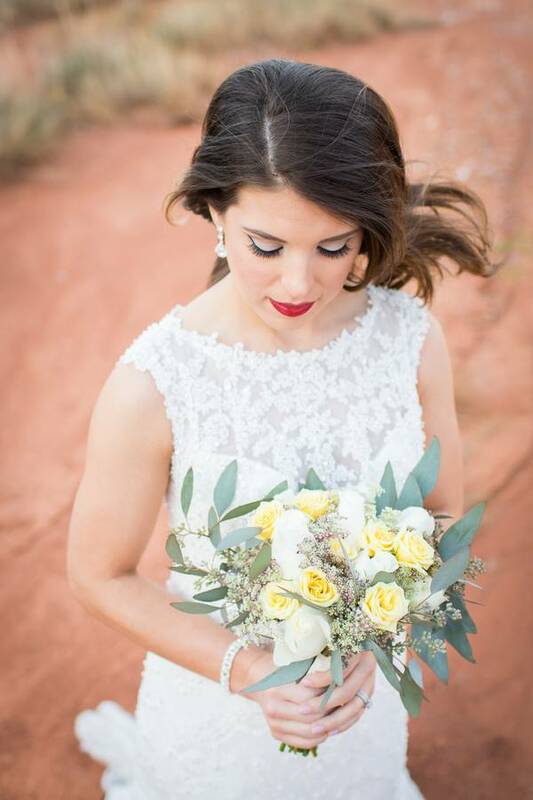 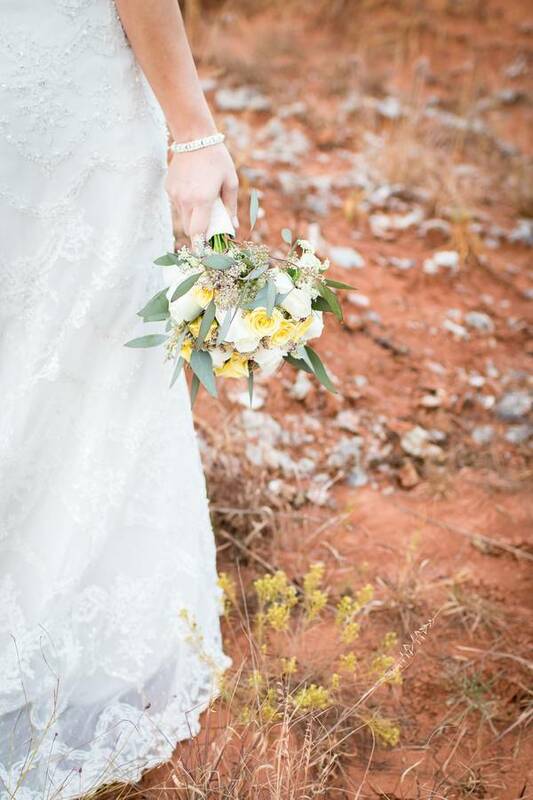 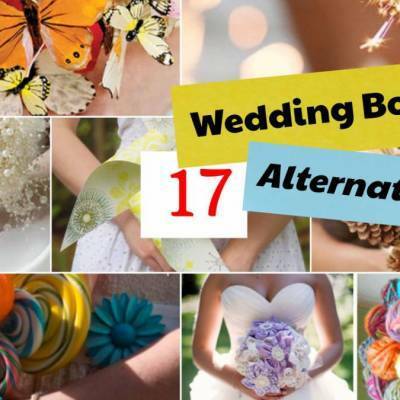 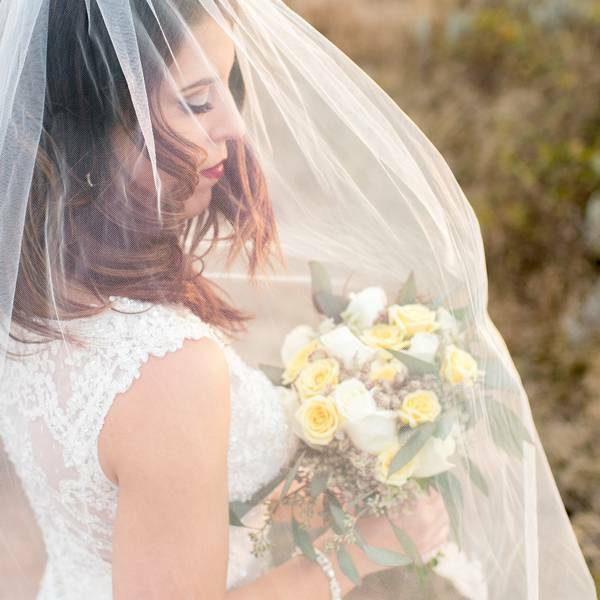 Christina carried a bouquet of white and yellow roses and sprigs of wildflowers which paired perfectly with the copper, russet, sage, and golden palette of the landscape. 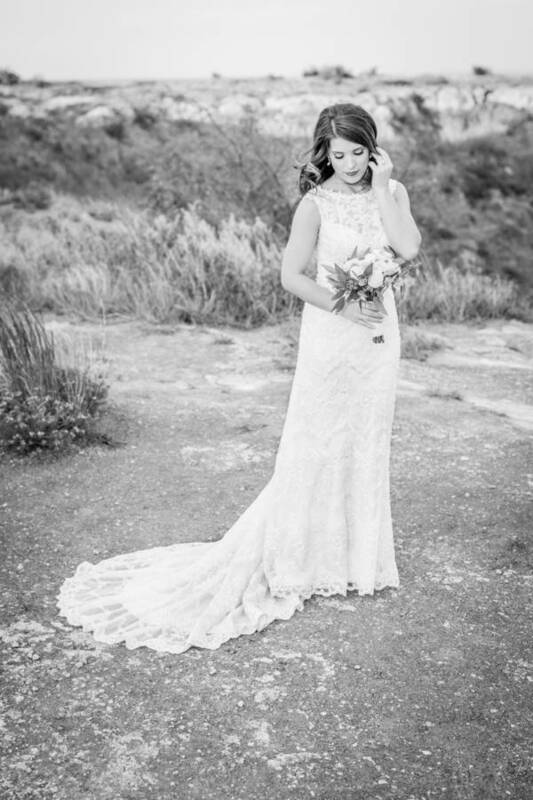 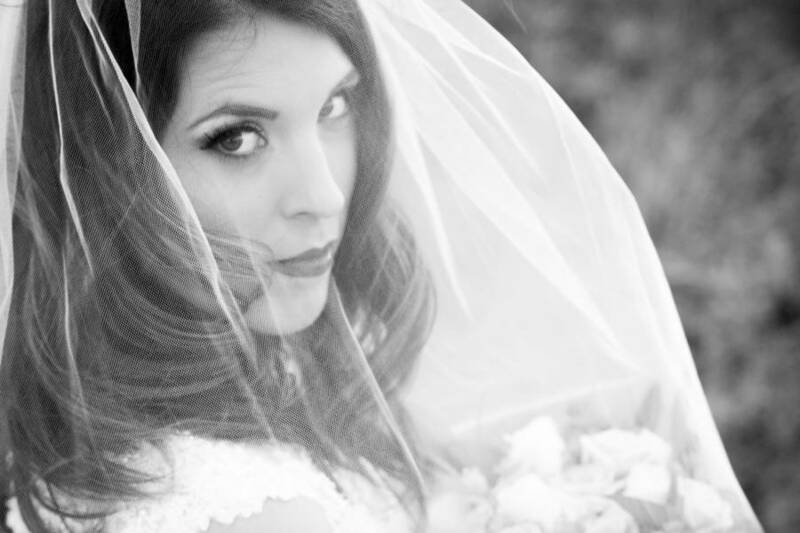 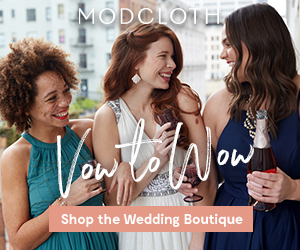 These images capture the beauty of a bride in her gown (a gorgeous lace gown!) 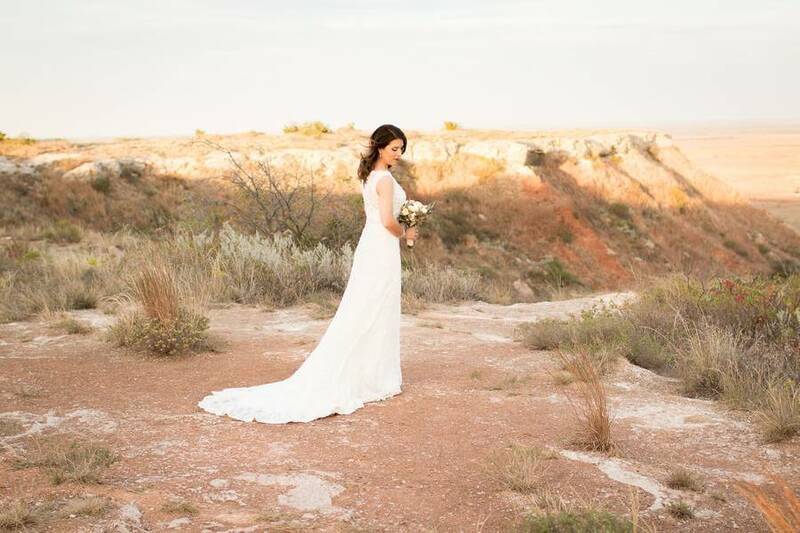 and the stunning vistas of a nearby canyon and grassy plateau.